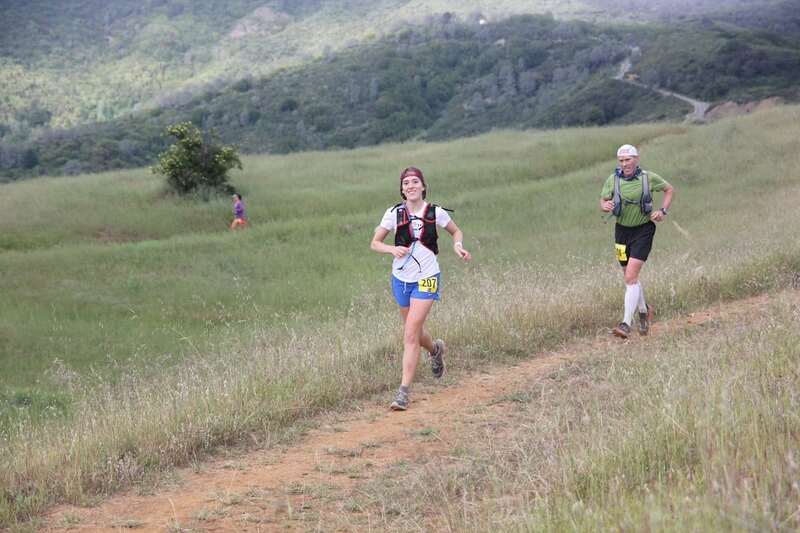 The mind of an ultrarunner may not be considered ‘normal’ by mainstream standards. The minds of ultrarunners generally contain incredible fortitude, fierce independence, and an ability to navigate complex problems and obstacles. Watching the ultrarunner mind at work is beautiful, observing as it reacts to hundreds of miles of canyons and mountains, as well as relentless hours of hard and sometimes painful work. From ultrarunner to ultrarunner, John brings out organic and authentic emotions while talking with legends like Scott Jurek, Kaci Lickteig, Stephanie Howe Violett, Magda Boulet, and Rob Krar. There’s laughter, memory loss at those most painful moments, and some tears, as writer and subject–runner to runner in John’s case as he’s been at this ultrarunning thing for longer than many of the people he interviews–corroborate and commemorate about the proverbial runner’s journey. “When you’re interviewing somebody and it works… you connect with them and they share something that they wouldn’t have otherwise, it is really special,” John told me. There were no tears when I spent an hour with him, talking about his life and love of running, but there were laughs, and many stories. John Trent is a writer and runner, a father and husband, and a good friend to many runners and non-runners. He is a former President of the Western States 100 Board of Trustees, a current member of that same board, and a historian at heart. Now, at age 54, after spending his entire adult life writing about and for others, I am turning the pen on him. I hope to do John and his story justice. John and his wife Jill Trent have two daughters, Annie, 28, and Katie, 25. A family of ultrarunners now, yet it was way back in 1995 when John first learned about the sport of ultrarunning. He had been a runner through middle and high school, growing up in Reno, Nevada. He spent a difficult two weeks on the University of Nevada, Reno cross-country team, before deciding the rigid workouts were not for him. Instead, he continued to run on his own and after graduation, dabbled in longer regional races. In 1995, writing for a newspaper assignment, John profiled a local runner, then-51-year-old Joe Braninburg, who was racing Western States that year. He interviewed Joe while running the last 38 miles with him, the year the legendary Tarahumara runners of Mexico’s Copper Canyons chased Tim Twietmeyer and Ann Trason. Joe was running in the top-10 runners, with the bells of the Tarahumara runners ringing closely behind him. “It was kind of haunting, the moon, their sandals slapping the ground. To witness and document that, writing about that after, it made me think I wanted to give a shot at this,” he explained. So, in 1996, he ran the qualifier needed to get into Western States, the American River 50 Mile. In 1997, he was on the starting line of his first of now 10 Western States races. 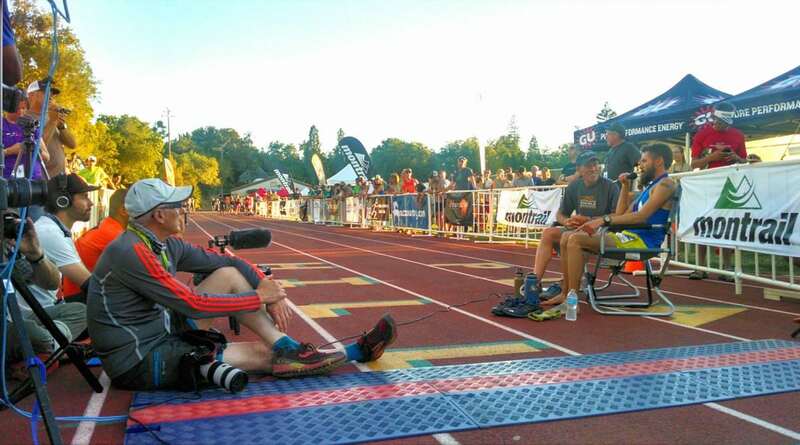 However, keeping that reporter cap on, his first Western States was also another newspaper assignment for the Reno Gazette-Journal. At the time, he was a month out of graduation and stringing stories together for the newspaper. He jumped to volunteer to cover the “crazy, long race in Squaw Valley[, California]” that no one else seemed too keen on. He then knew that a growing love for the Western States Trail, plus his relationship with Jill, who was perfectly content being dragged around the course all day, were both going to last. That first Western States finish time turned out to be 24 hours and one minute, which often triggers the “Ugh, so close!” reply, John said. 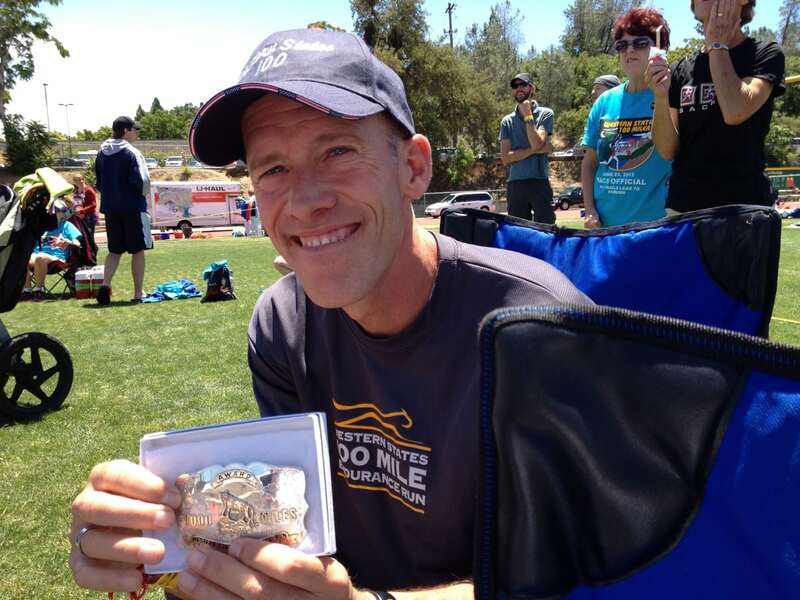 The finish did not result in the Silver Buckle award given to finishers under 24 hours at Western States. However, it was a good-enough tale to win him a few writing accolades when submitted to his paper. I guess some people can relate running to writing. It is similar in the requirement of quiet, solitude, and the ability to let thoughts fly around in your mind. From John’s running and reporting perspective, the two blend into each other even more. After the finish of every Western States he has run, he would forgo his post-race rest to talk to as many runners as he could. Before and after the awards ceremony, he would pull aside the winners, and others who had a good run. After the newspaper position, John worked as the speechwriter and deputy press secretary for Republican Kenny Guinn during his Nevada Governor campaign, worked at the Las Vegas Review-Journal, and now to write as a senior editor for his alma mater, University of Nevada, Reno (UNR), where he reports on the school’s staff and students. Sports writing has always been John’s passion, once imagining himself covering events for Sports Illustrated when he was younger. Now, after years of following the UNR Wolf Pack basketball teams around, he dedicates his sports writing to covering the iconic 100-mile race. 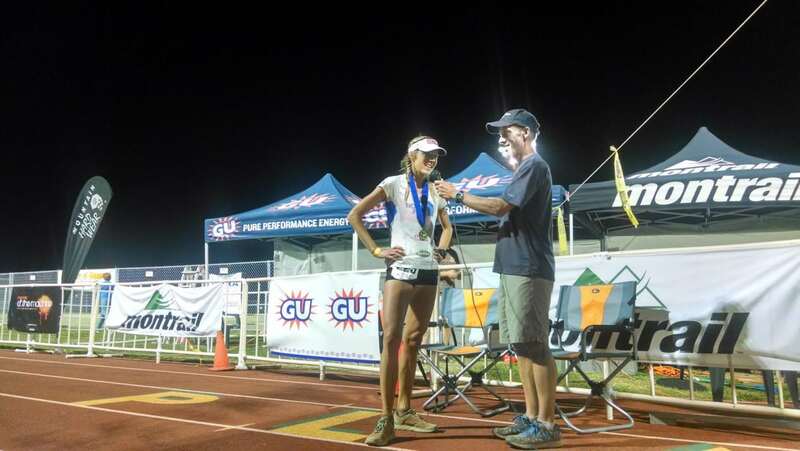 These pieces require the short, post-race comments from the tired, exhilarated runner, and then several days after, a longer conversation where the two talk race-day strategy, food consumed, highs and lows, and what it took them to get over that line. Lately, John is one of about 70 different media swarming the course, tracking each runner’s steps. Being a veteran of not only the race, but how to perfectly cover it, John’s experience comes in handy each year when it’s time to organize press passes and overall media presence. As the Western States Board of Trustees member with the most experience with the press, most of his duties revolve around managing race-day media. John began his current position on the board in 2016, after serving as the Western States Board President from 2010 to 2015. Among those years as President, John was also racing on the trail, which turned out to be a bit too much to wrap one’s mind around, he said. 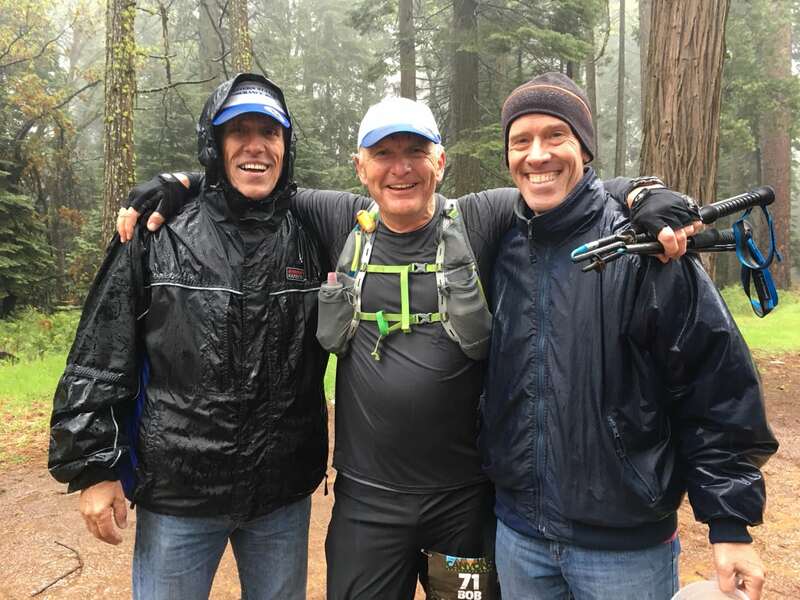 One day in 2004, John received a call from Western States’s Greg Soderlund and Tim Twietmeyer about helping them manage the race’s public relations–or a lack thereof at that point, still, he said. He has helped with advertisements, press releases, and big announcements, most recently with the drug testing during last year’s race. He also is the go-to person for press passes, putting everyone through the same ringer–filling out a form to help him understand what the media needs and how each team should cover the race based on the board’s own requests. What fascinates him each year is the magnitude of press and the difference between now and then, when he first started reporting on the legendary race. In 1997, it was him, a man from the Auburn Journal, and a guy from The Mercury News in San Jose who made the big mistake of hiking down to the river, three miles down, not knowing what he was getting his non-athletic body into. He had to be driven out later, John said chuckling. With cameras flying and reporters adhering to their race-coverage strategy, John said it is a true pleasure to watch and work with a group of people who understand the sport. It is folks like Meghan and Bryon and many other dedicated journalists who will be known in the history of ultrarunning for disrupting and changing our way of thinking about coverage and content in terms of sports, John believes. Just interviewing athletes now has changed, he added. These runners are no longer those miners emerging into the sun, but are very aware of who they are and what their place is on the landscape, John explained. “Athletes are more comfortable in their own skin. Compared to other sports, we may be a fringe sport, but the people who are a part of it don’t feel or think it’s fringy at all because of the welcoming, non-judgmental community,” he said. But it is not just the athletes who have changed, it is everyone who looks at Western States as their own. Everyone has grown together to face challenges that still await. For example, the Board of Trustees challenges those who continue to demand a new lottery system for the popular race, “Double the size of the race to 700, that will make so many more people happy.” Well, yes, John said, that could work but how happy will people be when they are stuck in a conga line, unable to experience the trail, too busy looking at another’s feet? Western States represents both sides, being able to forward-think into the future, but also being firmly rooted to its past. The history of Western States is its biggest selling point, and being a history buff himself, John’s favorite aspect of the race. The trail is special, wherever you may be at the time. When John was in the midst of his 10 Western States finishes, in addition to racing American River 50 Mile, Silver State 50/50–the Reno Silver State Striders race in which John has been the race director for the past six years–Way Too Cool 50k, Miwok 100k, and many others, he spent many weekends driving the two-hour drive to the Western States canyons to train. John is proud to point out that in 1997 and from 2000 to 2006, no one ever passed him up the climb of Devil’s Thumb. He also trained in the canyons often, when finishing out 80-to-100-mile training weeks while imagining that what he was doing would push him ahead of a future competitor’s training. 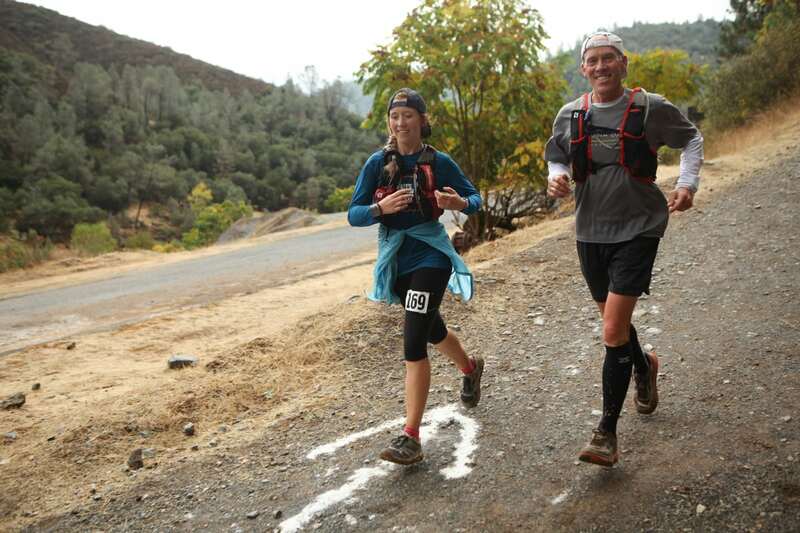 During his 10th and final Western States in 2012, he and his daughter, who was pacing, were coming to the river crossing, both feeling great at the sub-24 hour pace. 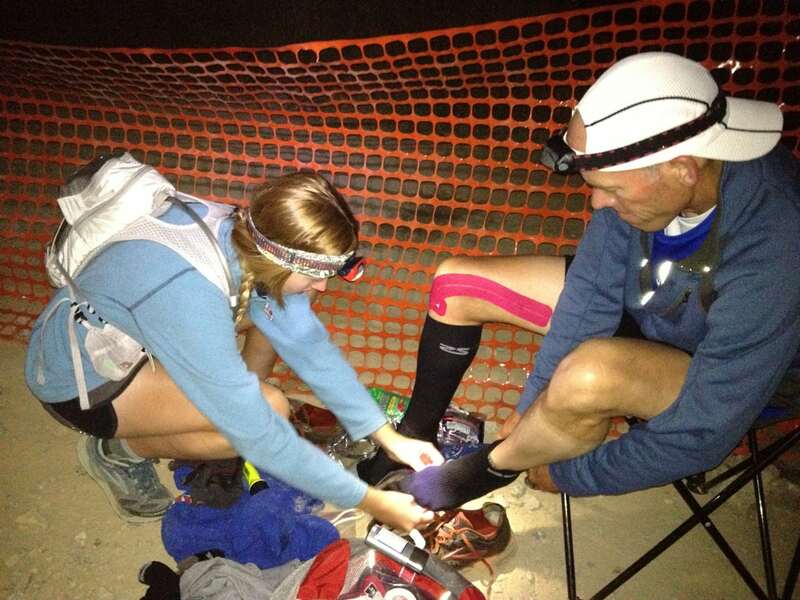 Since then, John has continued to cover the race and volunteer at the Foresthill aid station as aid-station captain. For the last 20 years, this has been the Reno Silver State Striders’s aid station, and it has also been one of the most ideal places for the journalist to capture the race’s events. Around 1 to 2 p.m, the leaders stride through, and John watches the faces and body language to forecast the future of the race. He files away the looks of pain and trouble on some runner’s faces, and takes note of the determination on others, saving these details for later when he sits down with them as they retell the story. John’s eyes and ears are always on alert, listening to others’ snippets of the race. He was able to get the detail that Cat was exerting herself so much that she was afraid she would pass out if she stopped, so she kept running. “As a reporter, when somebody tells you that, you file that away and write that down to weave it together into some sort of coherent narrative later,” he said. Scotty and John have one of those unbelievably interesting and ironic stories that has generated a brotherhood-like relationship between the two. During a Western States race about 10 years ago, Scotty said he came upon John running at about the same pace he was near the 30-mile mark. 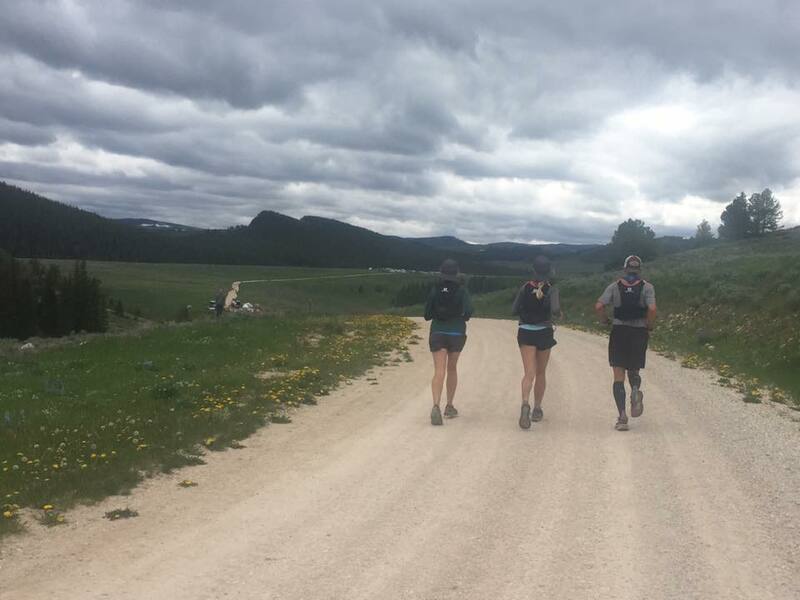 “As it often happens during ultras, you come up on a person and you start sharing the trails and experiences and you get to know another person over the hours because you’re running together,” he said. 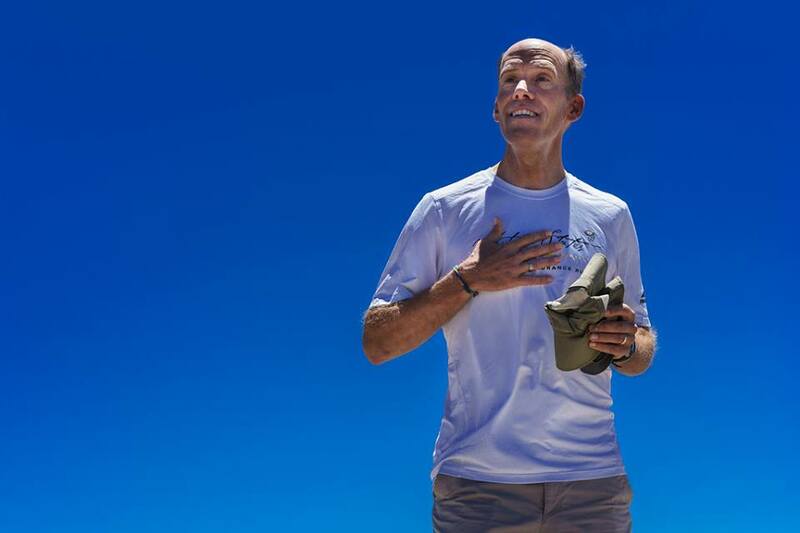 “We ended up running almost 40 miles together.” The start of a friendship was initiated and a year later when Scotty was running Western States again, he looked up to see John on the trail as well. Through leadership, balance, and prioritization, Scotty says one of John’s strongest talents is motivating and educating others through his writing. As Scotty watches John run, race direct, and take care of his family, he also sees those attributes portrayed in his writing. John claims it is interest in people’s lives that make every effort and experience truly worth it. 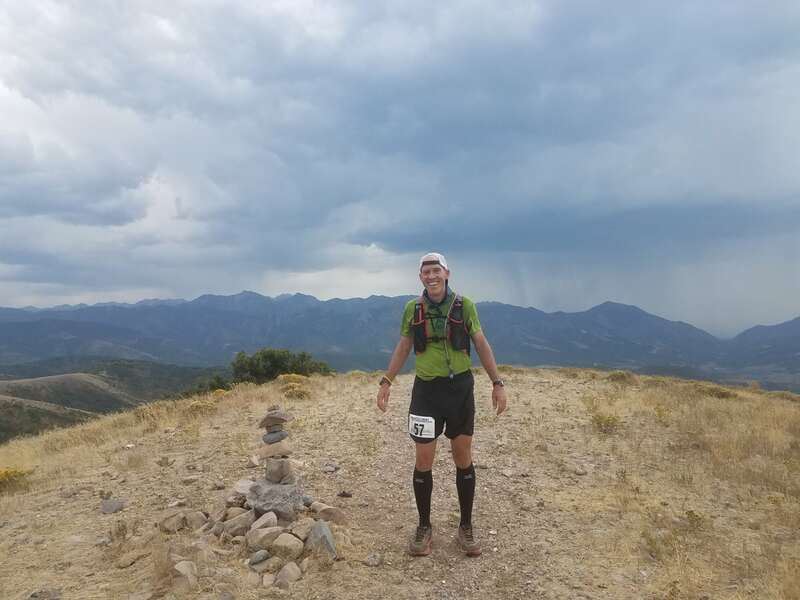 Even when John had to drop out of the Wasatch Front 100 Mile recently, the entire race was worth it thanks to the aid-station crew and captain Mark Robbins. For a few years now, John has developed a sort of left-sided lean during the last half of 100 milers, and after a surgery on his knee in 2007, some races and runs just don’t go as planned. At mile 85 of Wasatch, John was forced to drop, and walking into the aid station, barely standing upright, the aid-station family gave him a chair and some food right away. Wasatch now holds a special place in his heart, and will be a goal of his to finish in the future. Right now, because of the knee surgery, John has compromised with his body to continue with 100-mile races. He runs three times a week, which has worked well for him for the past several years. In between runs, he cross trains, and stretches and rolls out the kinks, little things now that he wished he would have done years ago. This year, he is planning on running the San Diego 100 Mile and has his name in the Wasatch lottery again, along with his two daughters. Usually, when one Trent family member races, the other three are pacers and crew members. However, if all three are chosen for Wasatch, John admits to not knowing what they are going to do. When one signs up for a race, it is another chance to spend time together, whether it is during the road trip blasting the favorite family song, “Stand Back” by Stevie Nicks, or the hours on the trail, and reminiscing about the ups and downs after. No matter what the schedule brings each year, the race that brings them all together is of course, Western States. The day is more special and brings more excitement than Christmas, Katie Trent exclaims. When she was young, the race held the special privileges of staying up all night, running around in the woods, and just hanging out with family and friends. Even training runs are a family-and-friends experience, often running with the Reno Silver State Striders. 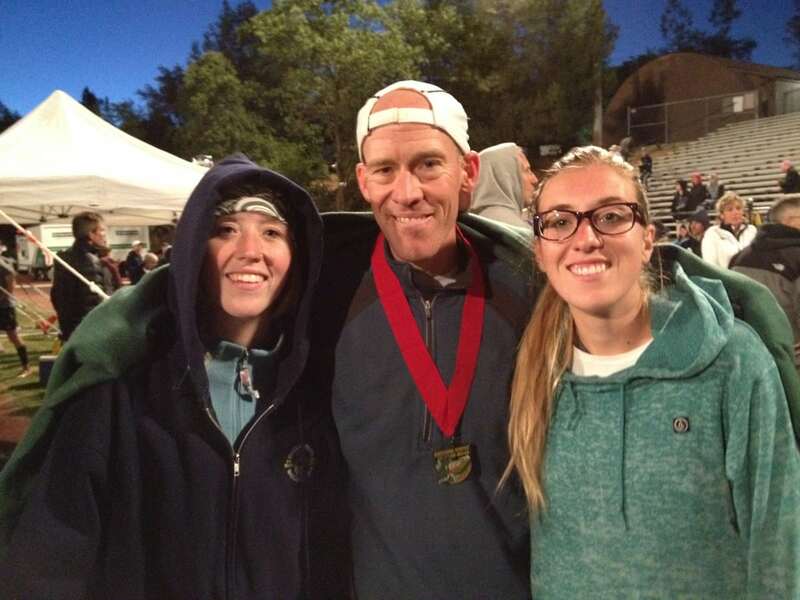 Beginning in 1997, the Trent girls have been with John at Western States, and they’ve been there every year since. They have watched him fly by with ease, struggle and endure, and cross the finish line 10 times. And, from pushing the girls in a stroller during Reno’s local Journal Jog, to watching Katie run Western States in 2015 and Annie in 2016, John has been center ring in watching his daughters grow into kind human beings and strong runners. Add in his wife Jill, who finished her first 100 miler at the Zion 100 Mile a few years ago, the Trent family is an unstoppable ultrarunning force. “Watching Katie and Annie at Western States and Jill finish, those are the three–well, other than watching Annie and Katie being born and meeting Jill–those are the three most important moments of my life,” John said. 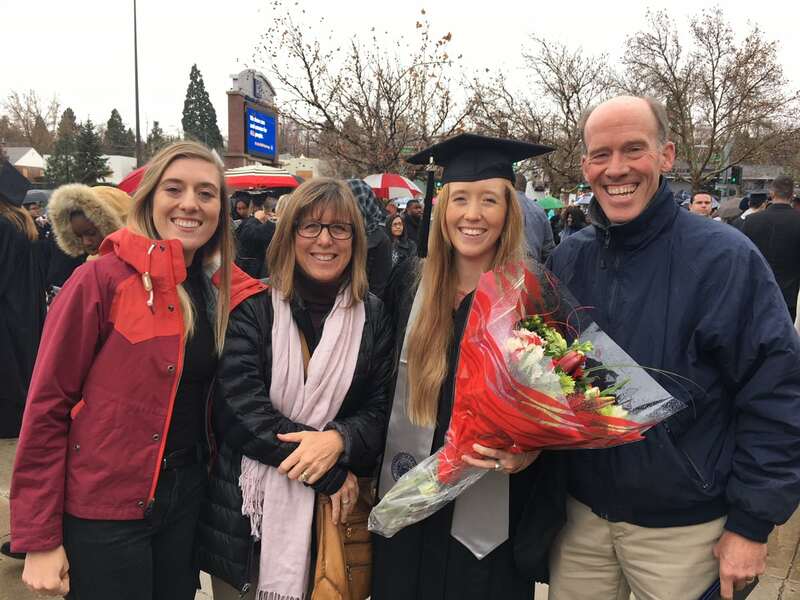 The Trent family at Katie’s UNR graduation in December of 2016. Photo courtesy of John Trent. 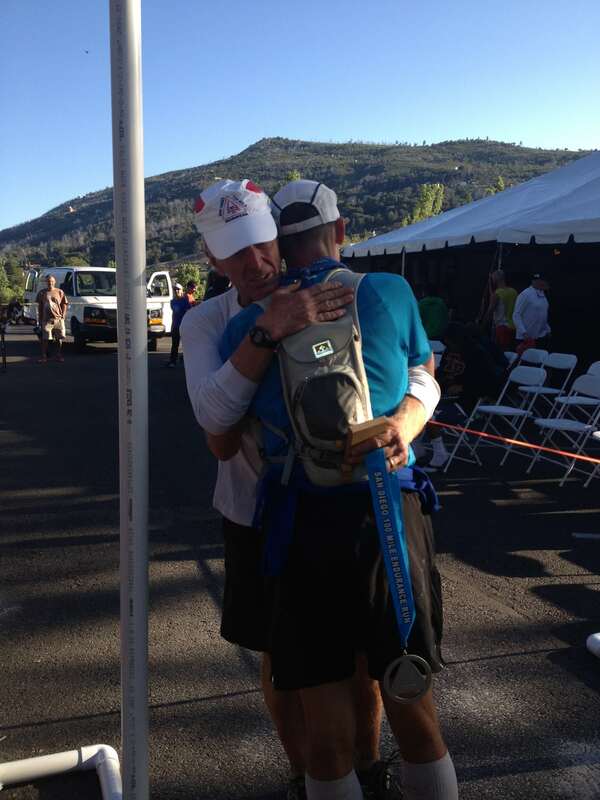 Every once in awhile, John stops to remember why Western States has meant so much to him. It was 23 years ago this summer when he asked his future wife to follow him around a 100-mile race course. It is home to the same canyons he trained on that his daughters now enjoy. It is the place he kindled good, lasting friendships and stories to retell year after year. It is all the little things that come together to create this bond between human and land. 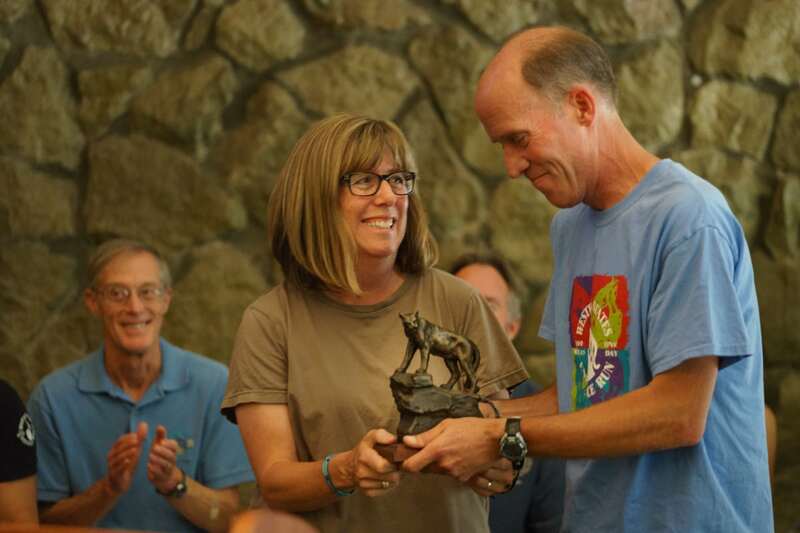 John thanks the race for his love of ultrarunning, his ability to meet and talk to amazing people every year, to work with the “incredibly intelligent, creative, and engaging” members of the Board of Trustees, and a bond he can share with his wife and daughters. Do you know John Trent? Have you run or raced with him? If so, can you share a story of sharing the trails with him? Have you read John Trent’s writing? What do you remember about it? 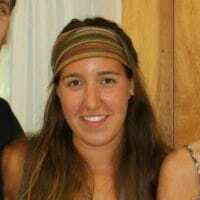 Obviously an incredible member of the tribe, but the piece I will always remember, and it put tears in my eyes when I read it (in public, in Starbucks) was a recent one, non-ultra: the young woman he comforted outside of an aid station at a half-mary a week after the tragedy in Vegas — talk about humanity! Hey, John, thanks for all you do. I miss running with you! One of the most genuine and thoughtful human beings I’ve come across. Fortunate and lucky to call you a friend JT. John is a good guy . He is supportive and encouraging to those of who are less gifted ( back of the pack ) . John , Jill , Annie & Katie always have a smile and a kind comment . I met John in 2015 at the WS pre-race check-in. He had written an incredibly moving report of his SD100 finish just a few weeks prior, and in it he had mentioned his long friendship with Scotty Mills. Scotty and I go way back to our days in the VHTRC, so I walked up to John that morning in Squaw and told him how much I had enjoyed his report, and we talked about our mutual respect for Scotty. Thus began my quick and easy friendship with John — he was incredibly supportive and concerned when the runner I was pacing, Gary Knipling, was pulled at ALT that year, and when we met again at the start line of the Bighorn 100 (where I was running the 50), we had a short but fun conversation about the adventure awaiting us. I so admire his commitment to his family, to the Western States Trail, and to the sport that he loves. John and I are the same age, with grown children and supportive, ultra-loving spouses, who live on opposite sides of the country, and one day I envision our families meeting and having a great time together (this will happen, John!). Thank you, WeRunFar, for this fantastic piece on a person who embodies the very best of our sport. Thanks everyone for your really kind, encouraging and loving words. I was so lucky to have such a talented and empathetic writer in Jessica to tell my story. I want to thank Jessica for being such a perceptive person, and for writing about my life with such good thought and care. I had — only somewhat — jokingly told her that I didn’t know if I was a very interesting interview subject. She somehow managed to put my rambles into something that moved me tears a couple of times as I read it. Thanks Jessica, and thanks to all who read it. I am lucky enough to live in Reno, run with John and call him my friend. While we have shared many miles, one run stands out. 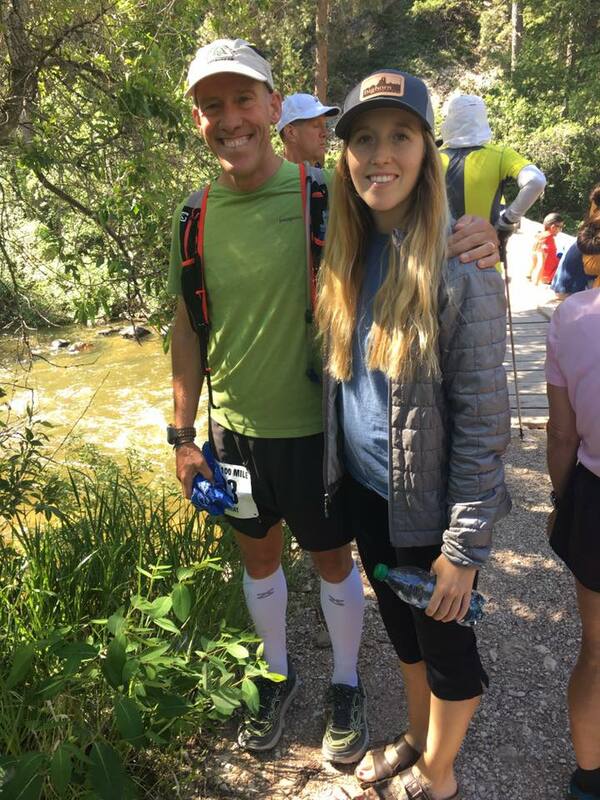 I had run the Silver State 50 mile the prior Saturday, and John lined up another 50 mile training run for a group of us including his daughter, Katie, one week later from Robinson Flat to the American River on the Western States Trail. It was a beautiful, misty day to start, but as we left Foresthill, it began to sprinkle. By the time we passed Cal 1, it was no longer sprinkling. We were in the midst of a torrential downpour, the trail an unidentifiable flowing river. Thankfully, Jill was calling John to tell us all that she would pick us up. John responded that we were all doing fine, that he was sure the weather would break, and that we’d see her at the river. As he put his phone away, I was in despair. I was not fine, the weather was not going to clear, and I wanted to be picked up right then, not at the river. As I have always found to be the case with John, approaching the river, the warm sun broke through, spearing the American River with rays of light, in one of the most beautiful scenes I have witnessed on a trail (or I was delirious with joy at being done with that 50 miles of torture). It remains one of the best runs of my life. There is only one reason I run these silly distances…John Trent! Thanks for motivating me years ago to get out there and give it a shot!